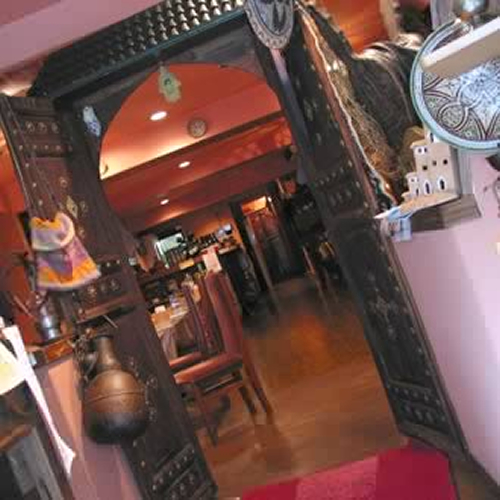 As Nagoya's one and only authentic Moroccan restaurant, Casablanca is proud to be your window on Morocco (the land of a million beauties) and Moroccan cuisine - widely considered to be among the best in the world. 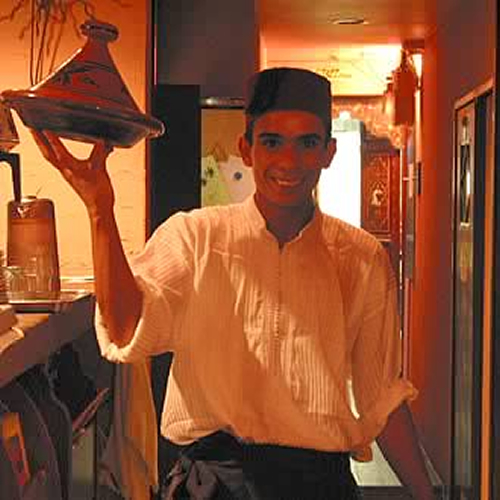 We invite you to experience its multicultural flavors, and harmonious mixtures of taste - ranging from sweet honey and cinnamon, to the zest of home-made preserved lemons - all mingled with the rare and aromatic spices unique to Moroccan cuisine. 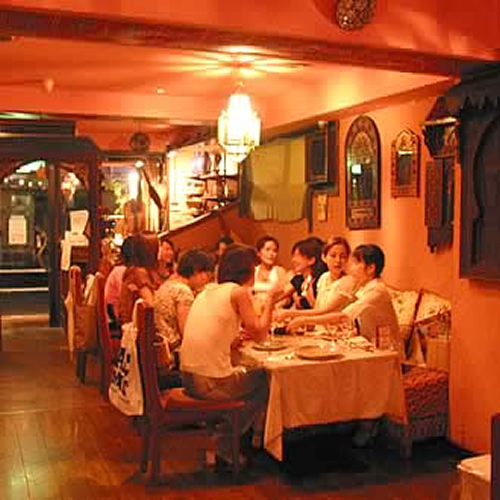 We aim to make your visit an exotic culinary experience and a real delight for your taste buds. A tasty and healthy soup with tomatoes and beans. The first thing Moroccans have after a day of fasting during Ramadan. 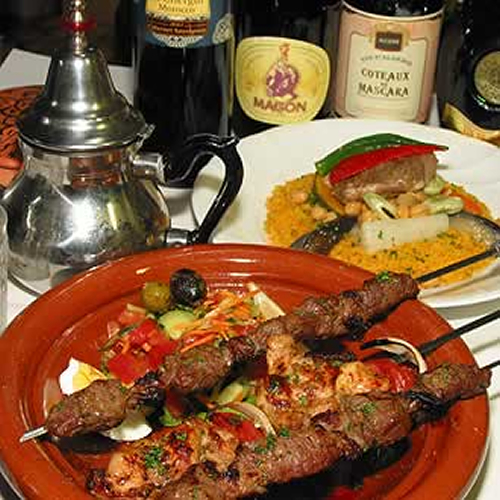 Kababs are meat cubes marinated in a special Moroccan sauce (nicely spiced but not too hot ) then grilled to perfection. A flavorful dip made with Garbonzo beans. Marinated with lemon and olives, this dish has a pleasant "tang" to it. Couscous, originating in the North of Africa, is the original pasta - made from 100% semolina flour. 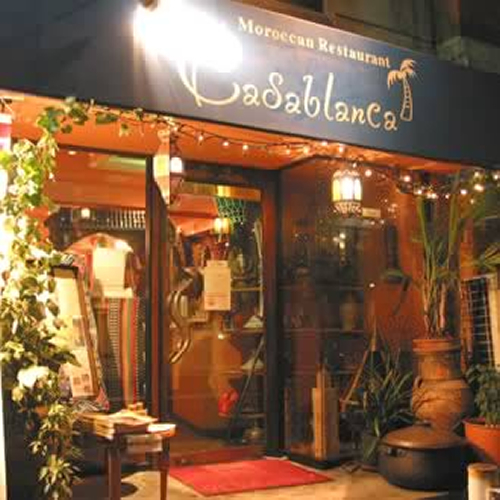 Moroccan Restaurant Casablanca is conveniently located about 3 minutes on foot from the Takaoka subway station (Sakura Dori Line).